To improve quality of care for women and families, Jhpiego, in collaboration with global partners, developed Helping Mothers Survive (HMS). HMS is a suite of hands-on, simulation-based learning modules designed to be delivered at the jobsite to build the capacity of the health workforce. The goal of HMS is to improve and sustain the critical skills of midwives, nurses, doctors, and those who assist them to care for women during pregnancy, labor, and delivery. HMS uses the latest clinical standards and evidence coupled with proven learning strategies to build capacity of providers to deliver high quality services. The first module in the series, Bleeding after Birth (BAB), addresses postpartum hemorrhage, the leading cause of maternal death worldwide. In response to requests from around the globe, Jhpiego is expanding the suite to other clinical areas with input from global leaders in health. The 2nd and 3rd modules, HMS Pre-eclampsia & Eclampsia and HMS BAB+ will be launched in the Fall of 2016. Upcoming modules include Normal Labor & Birth, and Complications of Labor & Birth being supported by the Jhpiego HMS Secretariat and led by the American College of Nurse-Midwives and the American College of Obstetricians and Gynecologists, respectively. When providers have the knowledge, skills, and confidence necessary to provide quality care on and around the day of birth, they will reduce the burden of maternal and newborn deaths in their communities. The HMS Secretariat also provides guidance on implementing and incorporating low-dose, high-frequency (LDHF) learning approaches into existing education programs (see “Our Approach”) and helps to connect HMS advocates, implementers, and trainers across the globe. 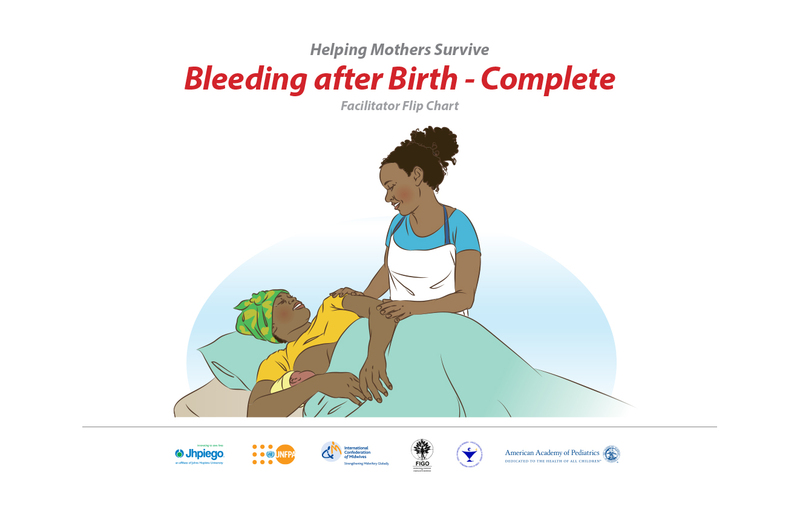 Bleeding after Birth (BAB) is a one-day module designed for teams of health workers who provide care for women and newborns. The content aims to build skills around team communication, active management of third stage of labor, and early detection and basic management in order to reduce maternal deaths caused by post-partum hemorrhage. 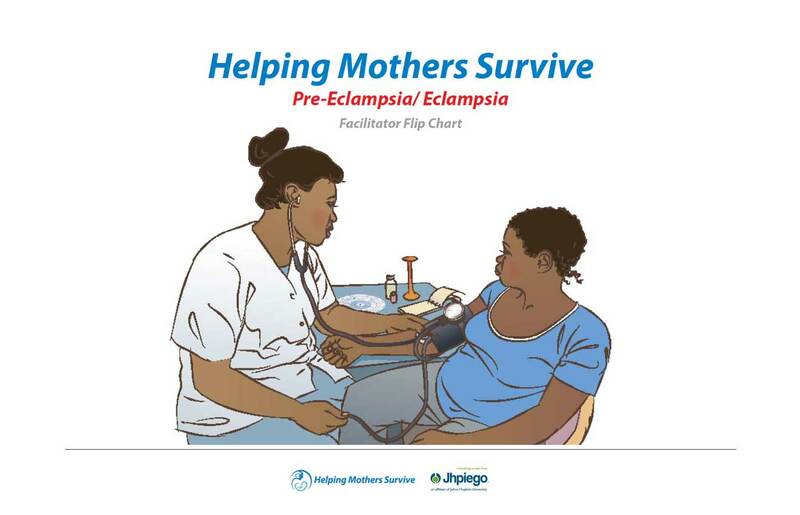 Pre-eclampsia & Eclampsia (PE&E) is a module designed to address the second leading cause of maternal mortality globally, Pre-eclampsia & eclampsia. Key content in this module includes: correct assessment and classification of hypertensive disorders of pregnancy, administration of loading and maintenance doses of magnesium sulfate and antihypertensive medications, and management of convulsions. 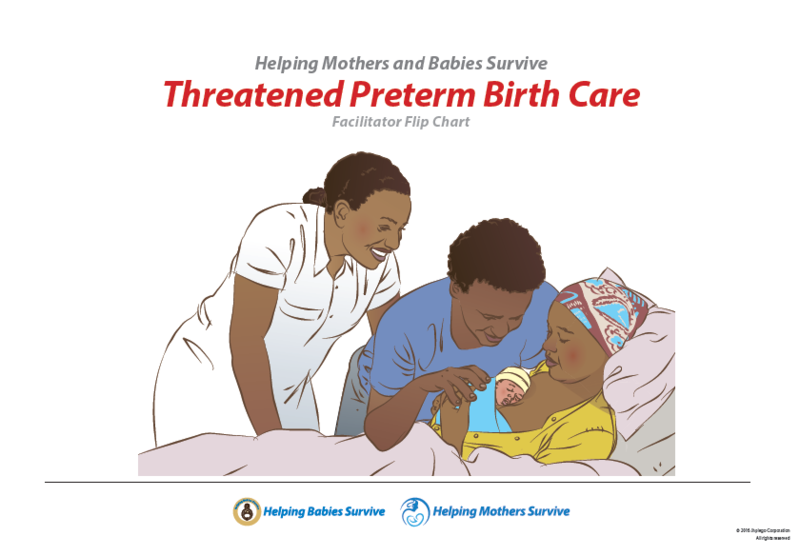 Threatened Preterm Birth Care is part of the Helping Mothers Survive and Helping Babies Survive suite of training modules. It is a two-day course designed for teams of health workers who provide care for women and newborns. Coming soon! In responding to requests from around the globe, the HMS Secretariat is in the process of developing new modules to expand the suite including normal labor and birth, being led by ACNM with inputs from ICM, and complications of labor and birth, being led by ACOG with inputs from FIGO. HMS trains all providers on a health care team to bolster teamwork and target all providers caring for women and newborns on the day of birth. HMS learning courses take place in the workplace to address local barriers and improve the capacity of the entire health care team. HMS applies evidence-based learning approaches, including simulation, case-based learning scenarios, role play, and group discussions, which heavily involve participants in their own learning process. HMS begins with an initial one- to two-day learning that covers need-to-know clinical knowledge and skills using the evidence-based strategies named above. The initial course is followed by short, weekly practice sessions at the work site, led by peers, to continue reinforcing clinical decision-making and skills. HMS uses highly graphic materials to reinforce key messages.